Sweet Potato & Pumpkin Biscuits - A simple - healthy dog treat made with limited ingredients & only the good stuff. 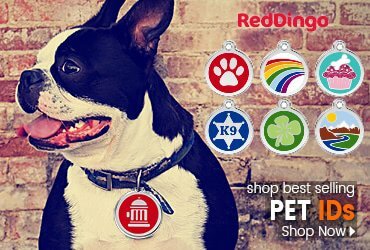 These wholesome - tasty dog biscuits are 100% sourced - baked & packaged in the USA. 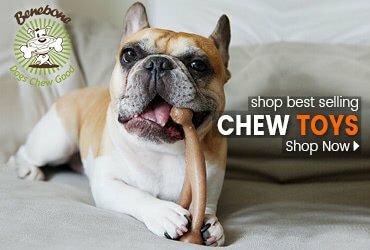 The all natural grain-free biscuits contain no artificial ingredients - provide a healthy snack for dogs with food allergies or sensitive stomachs. 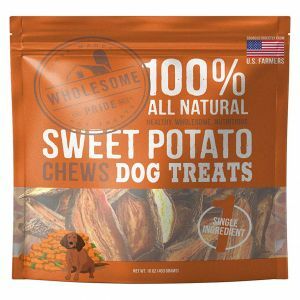 Sweet potatoes & pumpkins are great sources of fiber - vitamins & minerals making these natural pet treats as healthy as they are tasty. 4.5 ounces. 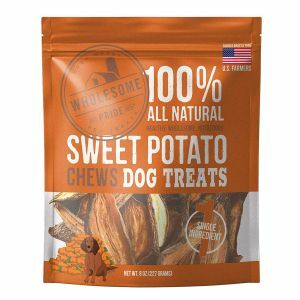 Made with 100% natural, USA-grown, dried sweet potatoes & pumpkins as the only ingredients for optimum flavor and chewing action. Loaded with natural vitamins, minerals and antioxidants so they’re great as an anytime treat or snack. 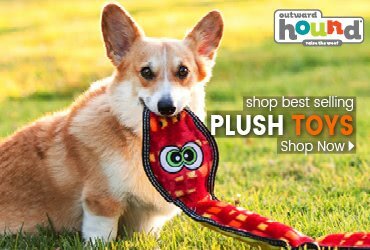 100% vegetarian, grain-free and highly digestible so they’re great for pups with sensitive stomachs. 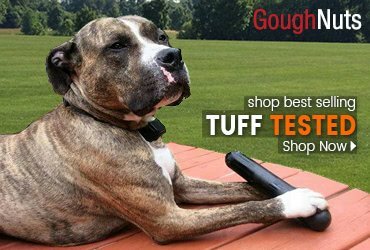 Provides the rugged texture dogs love to chew on, and plenty of dietary fiber to promote healthy digestion. 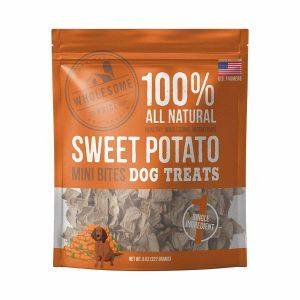 Made in the USA with USA-sourced ingredients, and zero grains, fillers, wheat, preservatives or artificial ingredients; comes in a resealable pack to keep them fresh.